Join us on Friday, September the 11th for the #HITsm tweet chat where we will discuss CHIME’s national patient identifier challenge and the state of patient identification in healthcare. Join us this Friday from 11 a.m. to 12 p.m. CST as we host the weekly #HITsm tweet chat and discuss the conundrum of establishing accurate patient identification in healthcare. The College of Healthcare Information Management Executives (CHIME) recently issued a $1 million “national patient ID challenge” in an effort to find a universal solution for accurately matching patients with their health information. Patient identification in healthcare has bubbled to the top of the health IT priority list since accurately identifying patients is perhaps the most fundamental element of ensuring data accuracy throughout the care continuum but a confluence of barriers has inhibited advancing initiatives intended to improve it and help increase patient safety. 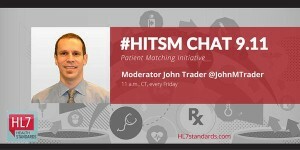 During the chat we will discuss CHIME’s initiative and debate on whether it truly has the ability to improve patient identification in healthcare plus we will talk in-depth about how inaccurate patient ID effects healthcare interoperability, the evolving patient role to ensure the accuracy of their PHI, new patient touchpoints that complicate the goal of implementing technology that improves identification accuracy, and which new patient identification technologies show promise to help advance accurate patient identification in healthcare. 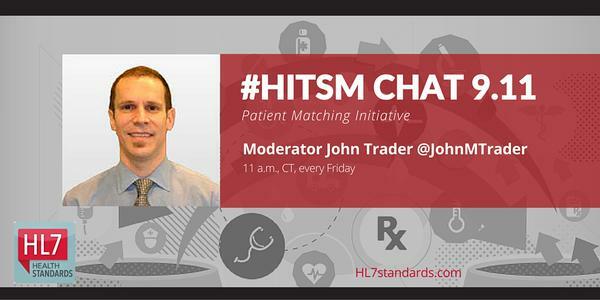 Please join the discussion beginning Friday at 11 a.m. CST, 12 p.m. EDT by following the #HITsm hashtag. Additional information about the topic and discussion can be found here. What additional topics would you like to see added to the conversation on establishing accurate patient identification in healthcare?